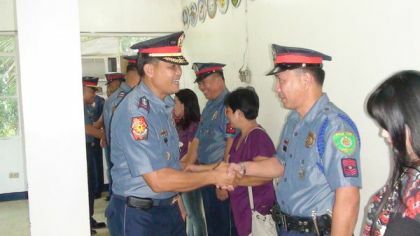 CEBU CITY, Jan 11 (PIA) -- Cebu City Police Director S/Supt. Melvin Ramon Buenafe said all security measures are in place for the Sinulog Grand Mardi Gras on Sunday, even as they are preparing for a possible stampede. Buenafe, during this morning’s ‘Talakapyan sa Isyung Pulis’ (TSIP) Forum, said a stampede may happen when a large number of people get lumped in an area. “We are anticipating for such a possibility where people might get hurt,” Buenafe said. Buenafe identified some chokepoint areas such as the Fuente Osmeña Rotunda where the mammoth of revelers are frequently gathered and also along General Maxilom Avenue. “We have divided the deployment of police personnel and other security augmentation into eight sectors so that immediate response can be done in case of any untoward incidents,” according to Buenafe. Again, Buenafe assured the public that there is no threat of any terrorist attack but that they continue to monitor the movements as well as the possible entry of big-time criminal groups from other regions to Cebu. The Regional Intelligence Division (RID) of the Police Regional Office (PRO) 7 also confirmed that they have not monitored of any presence of threat groups entering Cebu. “But still, our intelligence community and intelligence line units continue to strengthen its network to ensure the safety of our people here,” P/Supt. Leopoldo Cabanag, RID 7 deputy director said. Buenafe said CCTV cameras will be placed in strategic critical areas as part of their security preparations. “The PLDT and the Cebu City Mayor’s Office inked a partnership to ensure a peaceful celebration of the Sinulog. The CCTV cameras are PLDT’s contribution to make this possible,” the city police director disclosed.